HYDAC offers 2-port slip-in cartridge valves in the sector of logic elements. The design of these valves is for a high pressure of 420 bar and high flows. Together with corresponding control covers and pilot-control valves, they represent an autonomous program in the area of industrial hydraulics. 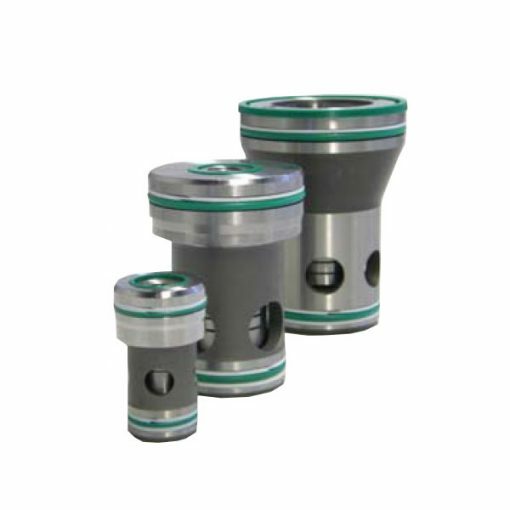 There are pilot-operated poppet valves with pressure and directional function in the programme. Furthermore, the valves are robust and have a design for flow optimisation. This allows high nominal flow rates at low pressure drop. This enables compact, energy-efficient manifolds. What’s more, the reliability and service life of these components increases plant availability.